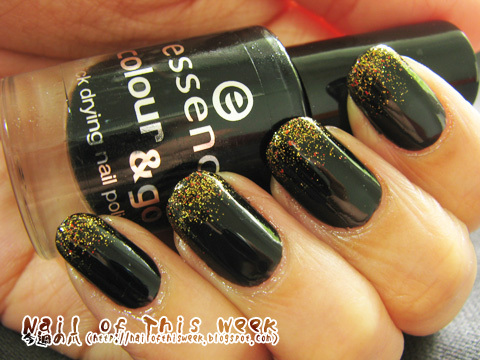 #044: Black lacquer with golden glitter Reloaded : Nail of This Week. THIS is what I wanted to do with these polish combination. 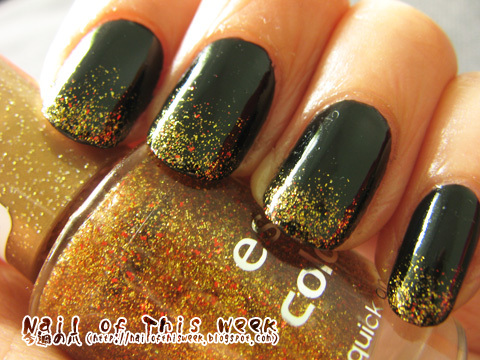 However as I noticed before, gold fever had unexpectedly dense glitter which is just too much to build the gradient. So how can I do this? Actually sponging did NOT work for this case. Glitter was really fine, it was completely stuck in the cavity of sponge; OR was released from the sponge at once. 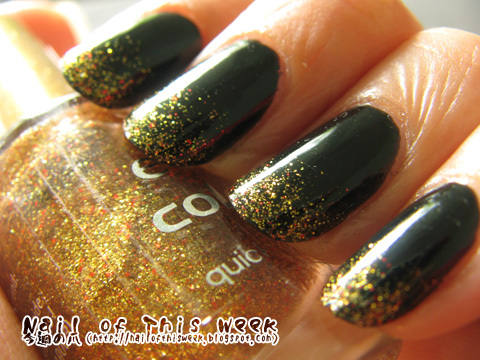 It was not fun, so now what I did…I just diluted gold fever with the clear polish.